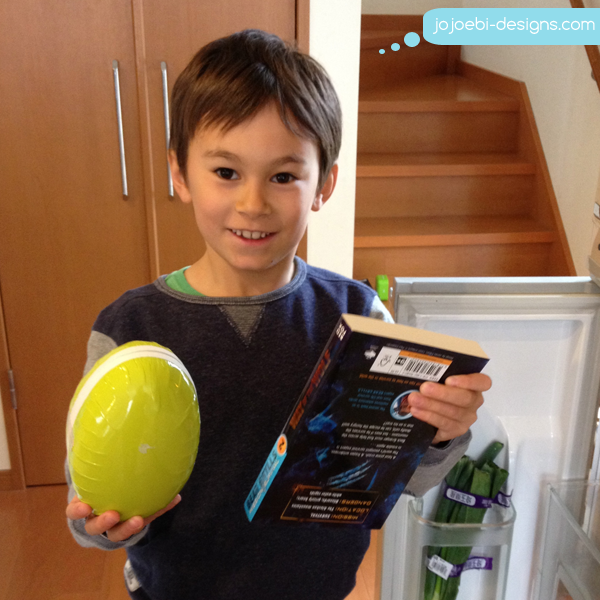 Finding the egg! and a new book, he was actually more excited about the book, it is the second one in the Bear Gyrlls fiction series, he took it to bed with him and when I went to get him up he was already awake and reading - he was on chapter 10! I think that is proof in itself that they are good books. The egg was a great Ikea find, it was empty so I got him some licorice - which is difficult to get hold of here and mom sent him some mini eggs (which I will have to help him eat). I had to share this genius idea, I saw it on Pinterest but they had mini cupcakes but they used the egg box as the container - great and easy way to carry food about! 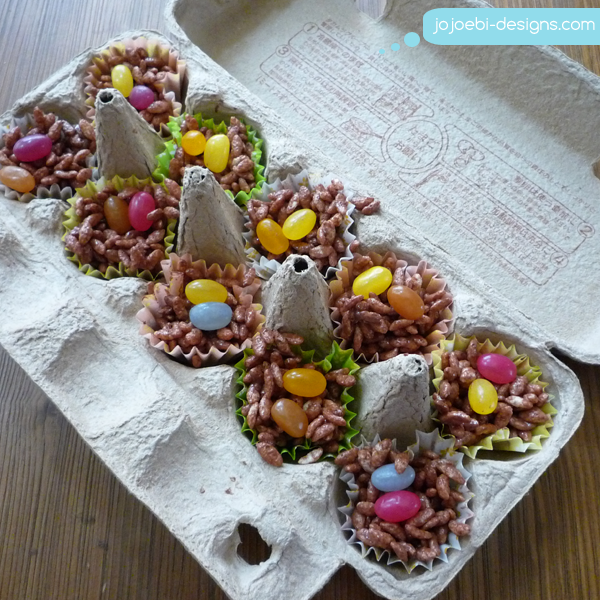 These are mini chocolate rice krispie cakes with jelly beans for eggs. 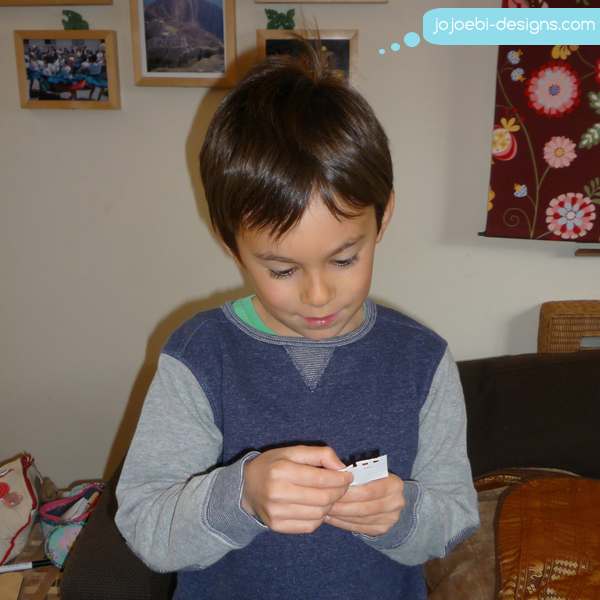 Most eggs here come in the plastic packs but we always buy the card packs - so much better for crafting! I will definitely be using egg boxes to transport things around and they are small, bite sized food which is perfect for a pot luck party. Now I am thinking about what other food I could put in there! Are the doors on your fridge all separate compartments or just a small door to open to grab something (like soft drink or sauces) so you don't let all the cold air out? 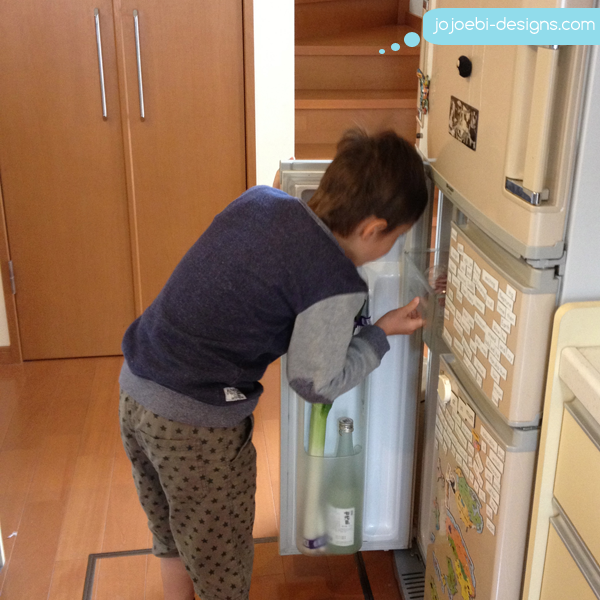 The top is the main part of the fridge, the door he has open is the veg draws and the other side, the small one is the ice maker/drawer and the one under it the freezer. Sadly the freezer section isn't very big. the main door at the top can also be opened from either side! That's really neat! Shame the freezer is so small! Is it not common to buy frozen foods or do batch cooking? Is that a pretty standard fridge set-up? When I first arrived here the freezer section in the supermarket was tiny, they have more stuff now, mostly for items to go into bento boxes. Batch cooking doesn't seem to be a big thing either. I think many 'traditional' Japanese families will have several small dishes that will last a few days and they kind of get rotated in and out each day - that is how my MIL and a good friend who is her generation do it. I think in the west we tend to freeze whole meals or the main component for a meal.